Whether you are the owner of a small business or a big and successful business, you can effectively market your business through a mobile app and keep connected with your customers in the most direct way. A mobile app is a tool which helps a business to reach its customers easily and gain their attention by notifying them about any offers and discounts. A business app, if designed properly, can keep the users engaged with all the offerings, products and services. For, the more users keep exploring the app, the more they get to know everything about the products or services you offer and eventually make the decision of trying it out. However, all business apps need to be designed by considering allthe key points that your business offers. This is why you need to discuss what you want by launching your business app with the app development team. If they understand your business requirements, business goals and the kind of audience you want to reach out to, they can create an app which is suitable for the audience and convert them into your clients more easily. Why Hire an Affordable Mobile App Designer? Are you wondering about the budget for developing a business app? 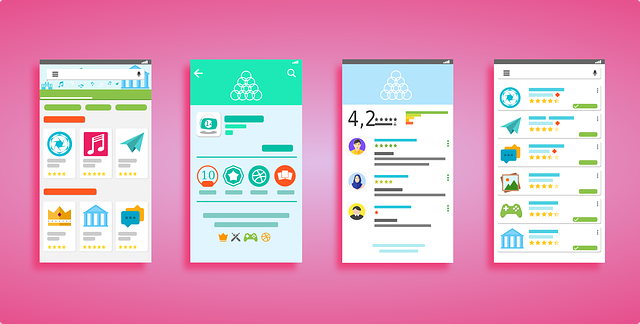 Well, you will be able to hire a good and affordable mobile app designer in New York at good pricing for the services and showcase all that your business offers.The best way to go about this is to go for a reputed app designing agency that are into the market for years and possess many years of experience. This will ensure that you will get the best of services at the most reasonable price. V1 Technologies is one such mobile app designing company which holds a team of expert app designers. All their developers are well versed with all the latest technological innovations, hence, can create an app using the latest technology. You can rest assured of the app performance even when it is being accessed by lots of people at the same time. All their mobile apps pass through different layers of app testing phases so as to ensure that there are no chances of the app failure once it is up and running. You can contact them and discuss what it is you actually want after launching your business on the app store. You will feel happy about your decision.